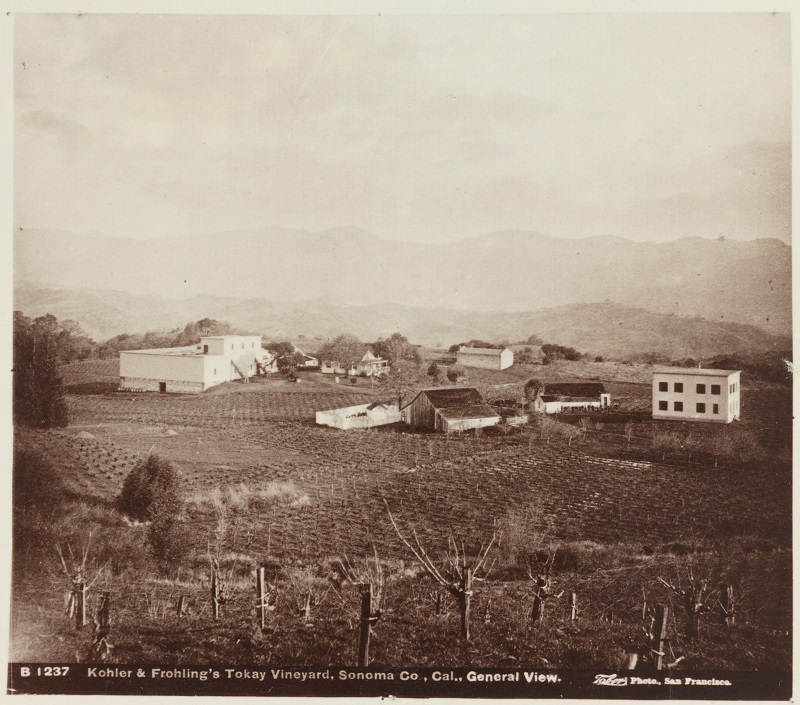 One of California’s oldest and most successful wineries — that you’ve likely never heard of — is back. 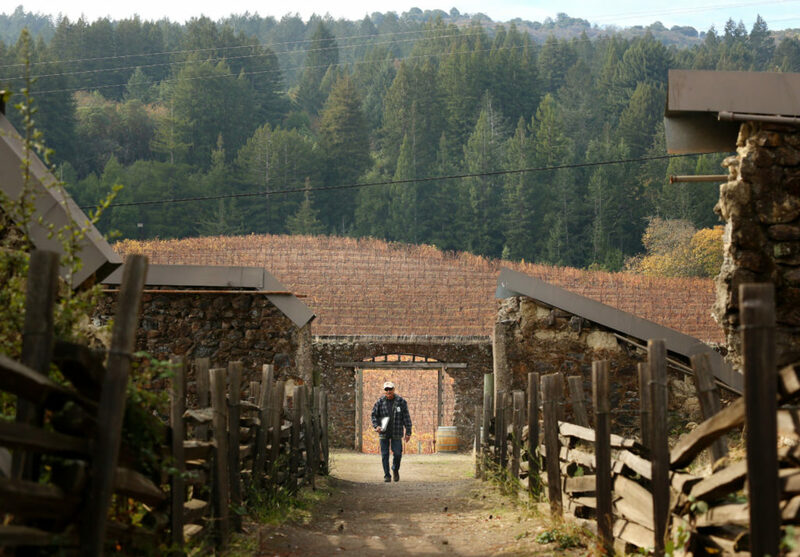 And its rich historical roots lie mostly in Sonoma County. 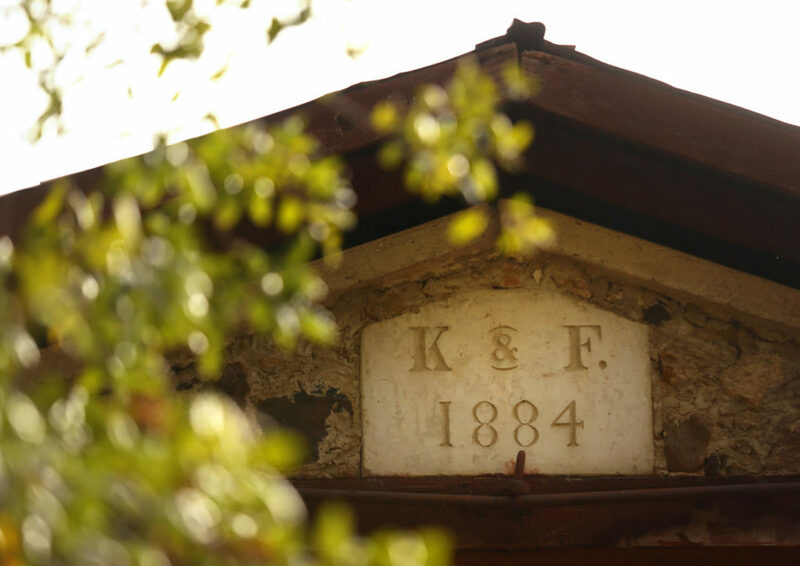 Established in 1854, Kohler & Frohling sourced some of its earliest grapes from Glen Ellen’s Tokay vineyard and in 1874 bought that vineyard and built a winemaking facility in what is now Jack London State Historic Park. 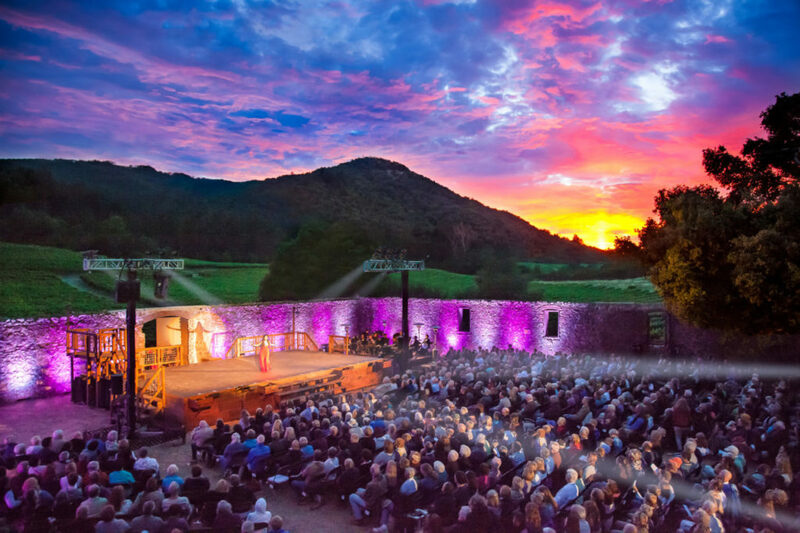 Notably, the ruins of that winery have been home to Transcendence Theatre Company’s “Broadway Under the Stars” shows since 2011. 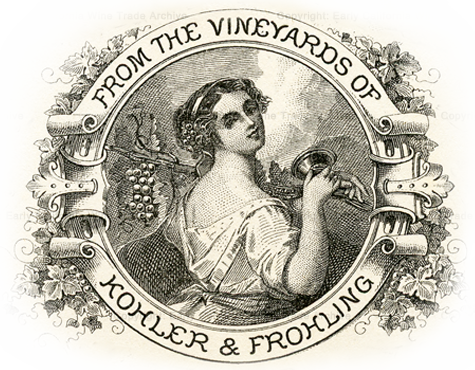 At its peak, Kohler & Frohling had a 400,000-gallon facility in San Francisco (established in 1857) and a tasting room at the Transamerica Pyramid’s current location. It was a household name nationwide. Then Prohibition closed its doors. 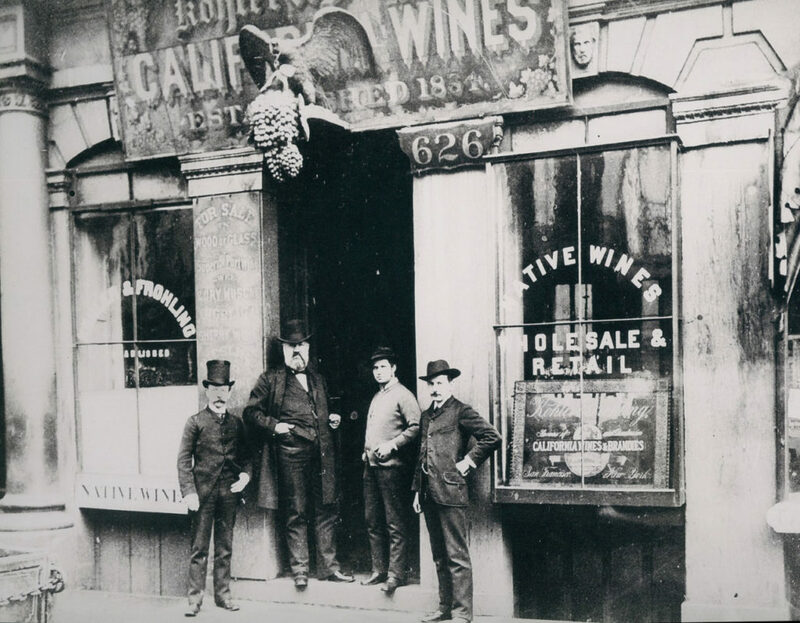 Today, a passion for family and history has inspired Bert Sandman, the great-great-grandson of Charles Kohler (partner with John Frohling), to recreate the business. And he hopes his grandchildren will someday choose to carry it on. Sandman’s goals are to slowly regrow the label and to preserve Kohler’s legacy. 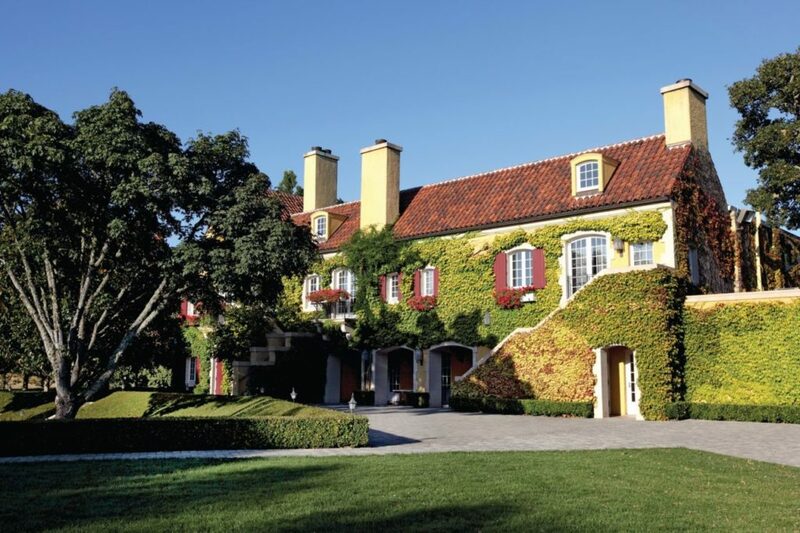 “He brought quality to California wines,” says Sandman, who has partnered with winemaker Jim Mirowski, co-founder and winemaker at Treasure Island Wines. 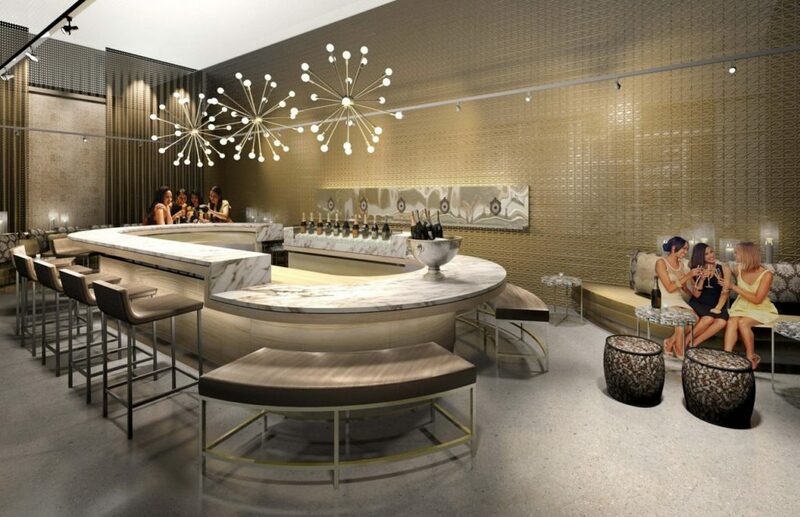 “I’m making the Kohler & Frohling wine with a nod to its original practices, but updated for modern tastes,” says Mirowski. 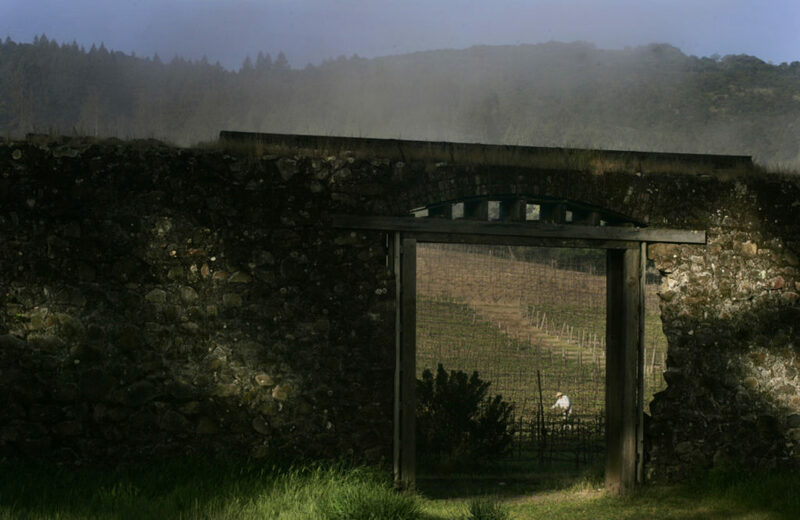 Its first release, 50 cases of 2011 Sonoma Mountain Zinfandel, was in March 2017. It’s currently expanding to 300 to 400 cases, with a 2017 Pine Mountain-Cloverdale Peak Sauvignon Blanc to be released this March. In 2019, releases will include Pinot Noir sourced from Balletto Vineyards, Chalk Hill Zinfandel and possibly a claret blend. 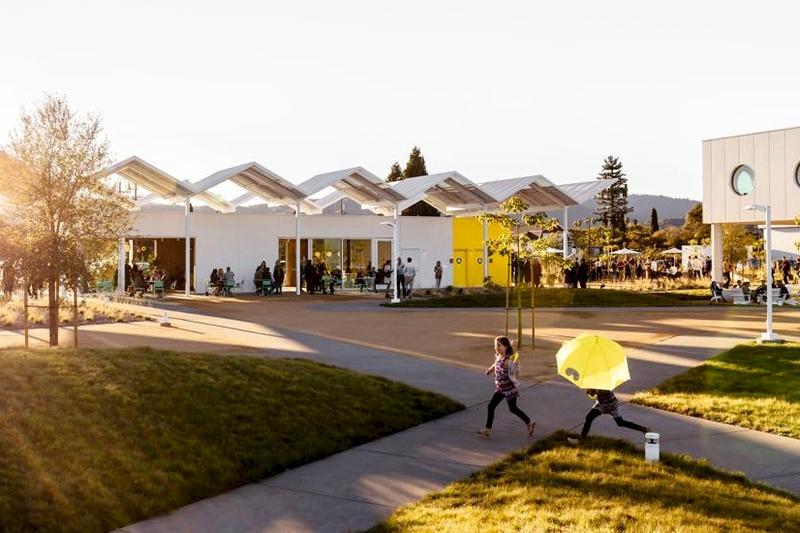 “We hope to grow to about 3,000 to 4,000 cases within a few years,” says Mirowski. And both he and Sandman are convinced it’s happening in the right place and for the right reasons. “It’s all coming full circle now,” says Mirowski. 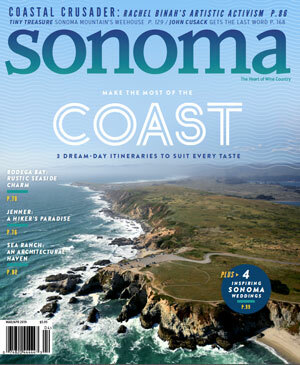 Sonoma Wine Bar Named One of the Best in the U.S.